Adventure Quest campers will take to the trees as they journey through the Seminole Aerial Adventure course experiencing life on the wild side! 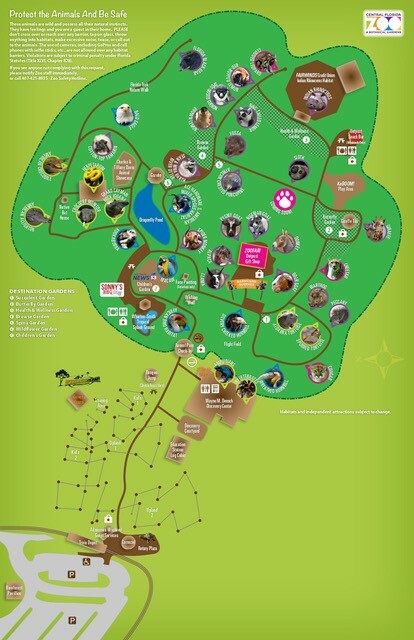 The fun will continue into the Zoo as they explore other wildlife habitats and meet animals from around the world. Games, activities, and a special craft are all included in this amazing animal adventure! 8:00 a.m. – 9:00 a.m.
4:00 p.m. – 5:30 p.m. Program includes the Seminole Aerial Adventure Course! Campers will participate on either the Kids Course or the Uplands Course. Online Registration is closed. Please call 407-323-4450 ext. 123 or email education@centralfloridazoo.org for limited spots available.